Posted on May 25, 2018 by Lisa B. The Bloomington-Normal Modern Quilt Guilt met on Tuesday, May 22, 2018 at Christ Lutheran Church. Forty-four (44) members were in attendance, three (3) guests and we welcomed two (2) new members tonight. Welcome to Rachel G. and Kathleen S.! 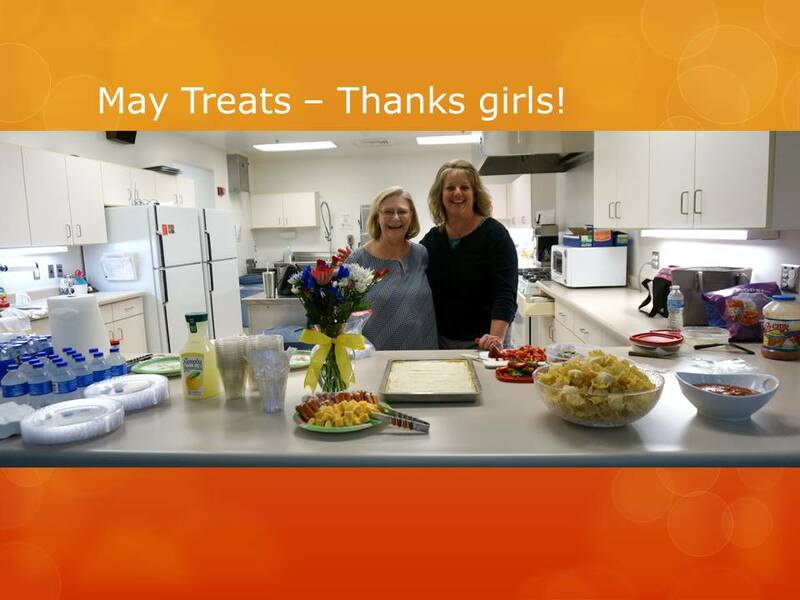 President Kathy C. thanked Leanne F and Anita T who provided us with delicious snacks. 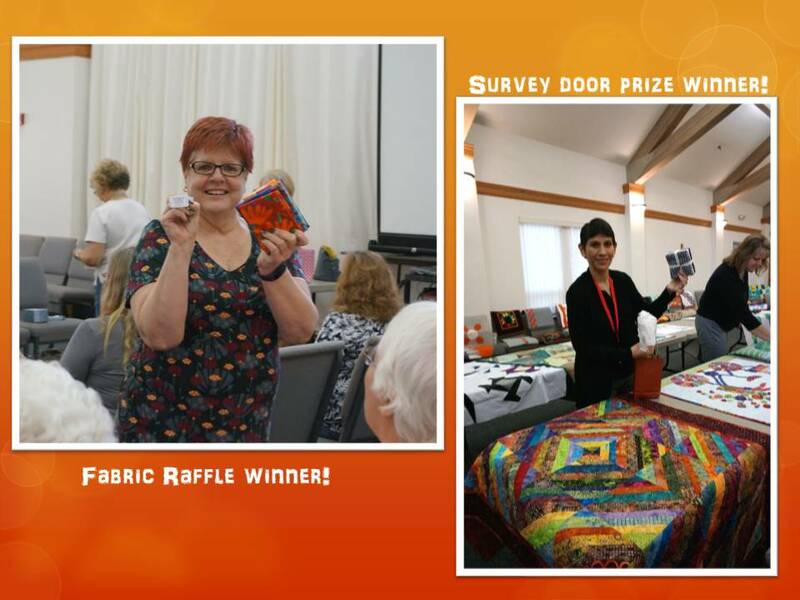 We were able to see more pictures of themodern quilts from this year’s Quilt Con provided to us by Ann G.
It was such a joy to see all the beautiful Kona Color of the Year modern mini quilts come through the door! 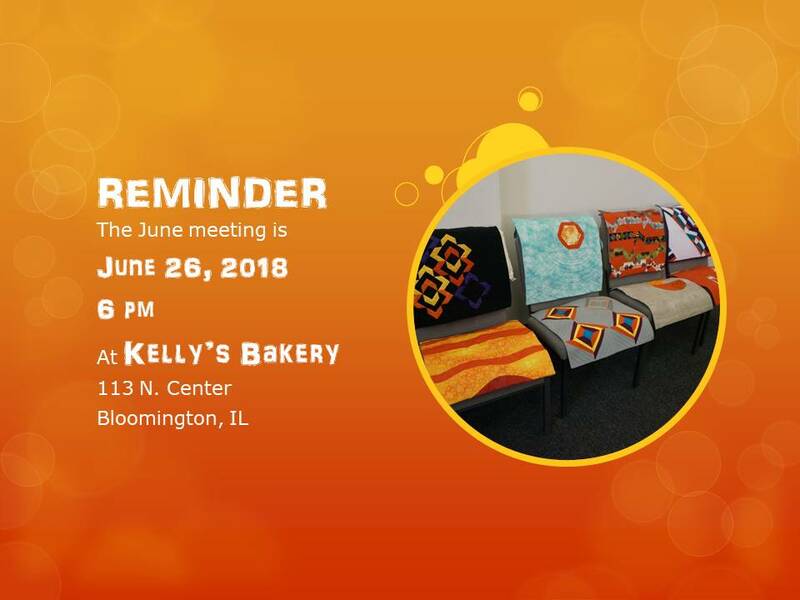 We have 30 quilts ( and one marvelous new logo mini made by Donna L and Nancy G) to display at Kelly’s Bakery for the month of June. Well done BNMQG! Registration for our July 28th workshop with Lynn Carson Harris opened and there are still a few spots left. We will open this great class on small piecing to nonmembers after our June meeting. There will be a venue and time change for our June 26th meeting. We’ll meet at the site of our mini quilt exhibit, Kelly’s Bakery at 113 N. Center in Bloomington, to celebrate our first show! There should be plenty of street parking since we won’t meet until 6pm. Also, there is a parking garage around the corner on Front Street. Viv B. who is the Textile Superintendent for the Heart of Illinois Fair in Peoria gave information about how to enter a quilt in the fair. Check out the Heartofillinoisfair.com website and click on Fair Book Rules and Entry to find out more. 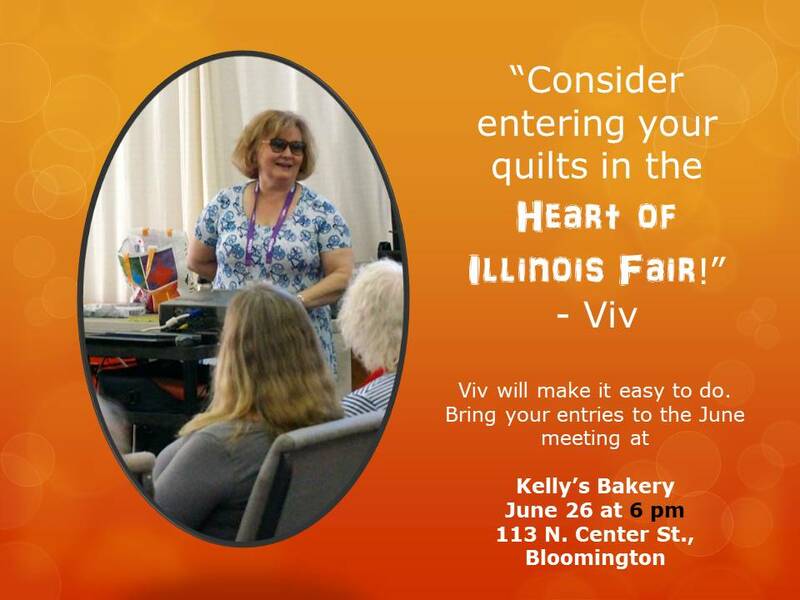 Viv has graciously offered to take any quilts you enter to the fairgrounds if you bring them to the June meeting at Kelly’s. Thanks Viv! Many of us are multi crafters. Stitches Midwest 2018 is coming to Schaumburg August 2-5 and will have shopping and classes about all the fiber arts you love! The website for this event is www.stitches.events/Midwest . Here’s a discount code to use online for classes and events. The board is planning programs for next year and welcomes all suggestion from members! 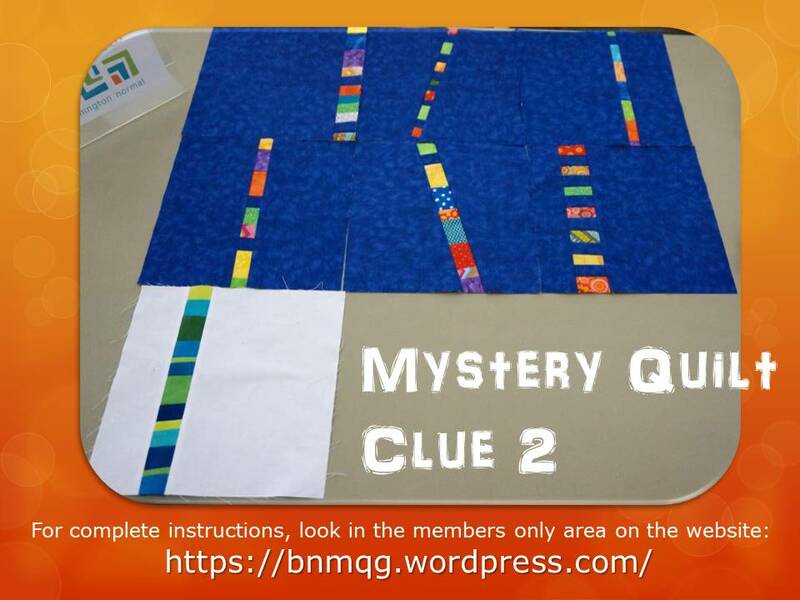 Nancy P presented clue #2 for our Modern Mystery Quilt that she designed. 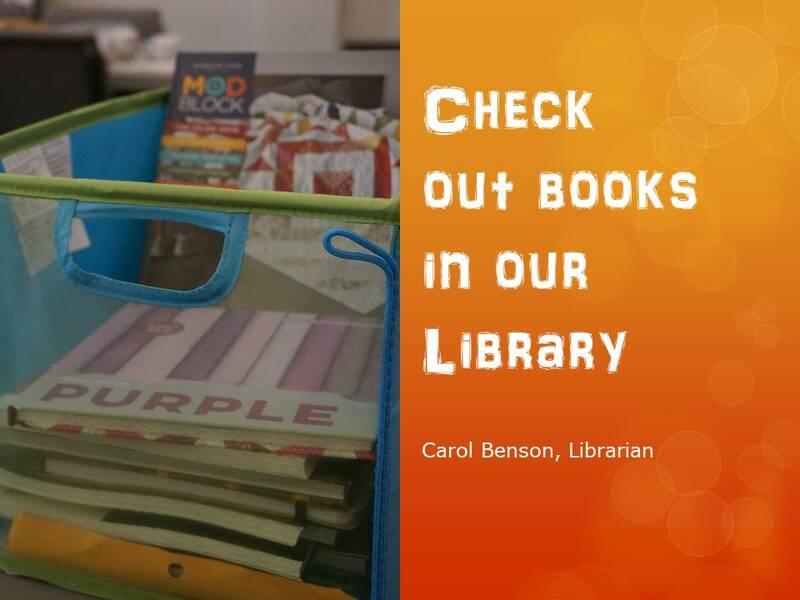 All instructions are in the Members section of the blog. Join in! It’s not too late to start! 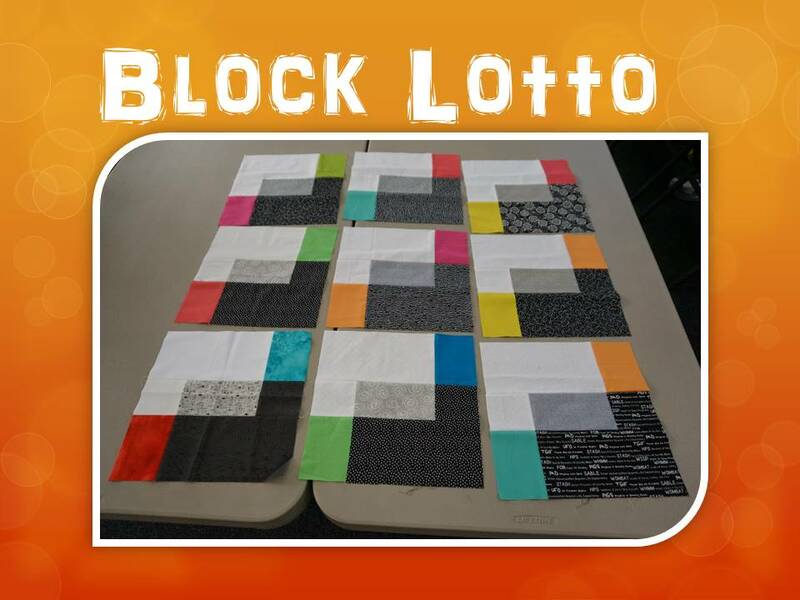 Our Block Lotto Winner was Lori Levar. Sue K announced that we would be taking a summer break from Block Lotto. She welcomes any suggestions for improving participation. Several members felt they could use help in designing quilts from the blocks they had won in the past. We decided that anyone could bring blocks they wanted help with to Mystery Quilt Design Night at our August meeting. More about this next month! Cindy Reynolds asks that all HeartBeat quilts be turned in by out August meeting. Our lucky Fabric Raffle winner was Gale I. Congratulations! 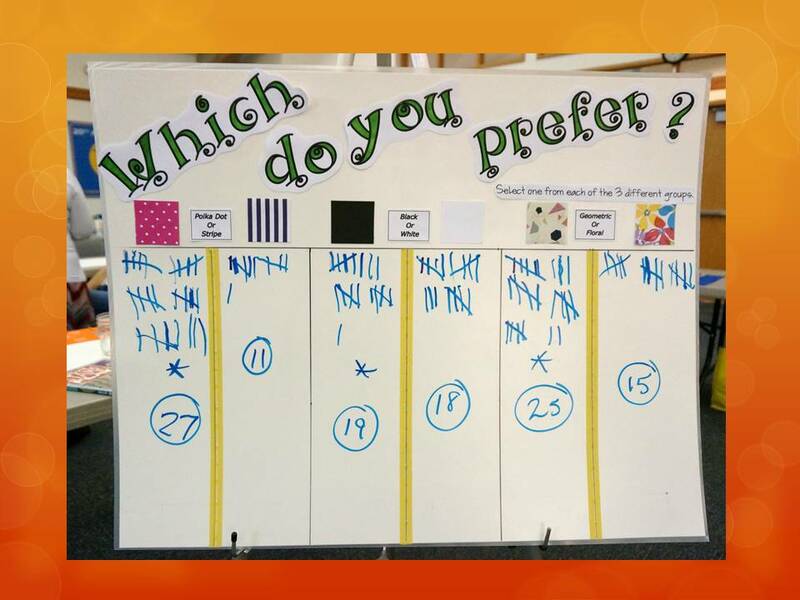 We learned about our members’ fabric choices with our survey questions tonight. We prefer polka dots over stripes, white over black and geometrics over florals. Noemi B was our door prize winner. Our Program tonight was an hands on workshop of printing on fabric. Members had opportunities to use potatoes, stamps, corks, Styrofoam, and a variety of water and oil based paints to explore block printing. See you at our next meeting at Kelly’s Bakery on June 26!